At the 10th running of Marathon Bahamas on Sunday, Drumeco Archer, the newly elected president of the Bahamas Association of Athletic Associations (BAAA), gave the event high praise as Sunshine Insurance Co. Ltd. Chairman and lead organizer Sir Franklyn Wilson commended the BAAA for their involvement. Wilson said the BAAA was intricately involved from day one. “When we started the marathon, one of the first steps we made was to seek to engage the athletic community. Pauline Davis-Thompson and Alpheus Finlayson were founding directors of Marathon Bahamas – they continue to be engaged and supportive,” Wilson said. Archer said that he and the new administration of the BAAA are excited to be a part of the Sunshine Insurance Race Weekend featuring the Susan G. Komen 5K Race for the Cure and Marathon Bahamas. The race for the cure is held the Saturday before the marathon. “From the context of the BAAA, we want to openly express endorsement of this event,” said Archer. “With the BAAA being the governing body of athletics, many people refer to it as track and field, but we are the governing body for all athletics in the country. This means that touches and concerns track and field, cross country and road racing events so we are excited to see this being a part of a perennial event on BAAA calendar and the BAAA has always supported this event. Under this new administration, we intend to market this event even more widely through our network of athletes and stakeholders so I am excited to be part of this movement. 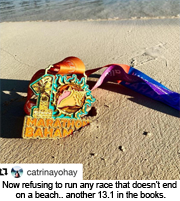 Thanks to Franklyn Wilson for engaging us in such a meaningful way and I can only see Marathon Bahamas becoming a greater event in the years to come,” he added. Wilson said that Archer knows and understands that previous administrations supported the race. “He understands that his predecessors supported this strongly. He is now taking this support to another level,” said Wilson. “When I say it is important to have the support of the BAAA – without them this could not have happened. From we started to now, there has been this continual support. It isn’t just events like this that they lend their support to, you go to BAAA events and you hear the president on the microphone encouraging people to go start training and prepare. Their support is in ways in which the public can easily miss. We appreciate their support mentally and categorically – Marathon Bahamas could not have happened at this level without the support of the BAAA,” he added. Archer also congratulated the Marathon Bahamas team for their successful execution of the marathon for 10 years straight. “Let me congratulate Marathon Bahamas organizing committee for always doing a fantastic job,” he said. “It has been now 10 years running that we have had a successful execution of one of the largest road races in the country. I want to thank them for continuing the movement of track and field through road racing. I always believed that this is a community event and it is always one of my most sought-after events at the start of each year – to come out and see the huge Bahamian support not only for the local athletes but also for the international visitors who come here just to be a part of this beautiful event. I always say that it is a Herculean task when you have to put on an event of this magnitude. I always congratulate the organizing committee for doing just that,” he added. Archer also acknowledged Bahamian long distance runner O’Neil Williams. He finished second in the half marathon in a time of 1:17:25. He won the half in 1:14:08 last year. “We look forward to seeing O’Neil continuing to do very well and representing The Bahamas in future events. He is one of the marquee runners for The Bahamas and we are happy to see him out here,” Archer said. The BAAA president reiterated that initiatives like these are important for the track and field movement in the country. He also spoke about his federation tackling health issues. Race weekend was this past Saturday and Sunday with the race for the cure on Saturday and Marathon Bahamas on Sunday. American Bryan Morseman won the full marathon in a record-breaking time of 2:27:35. Spain’s Nacho Hernando was first in the half marathon in a record time of 1:09:57, followed by Williams. 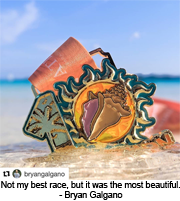 The 11th Marathon Bahamas is set for Sunday January 19, 2020.